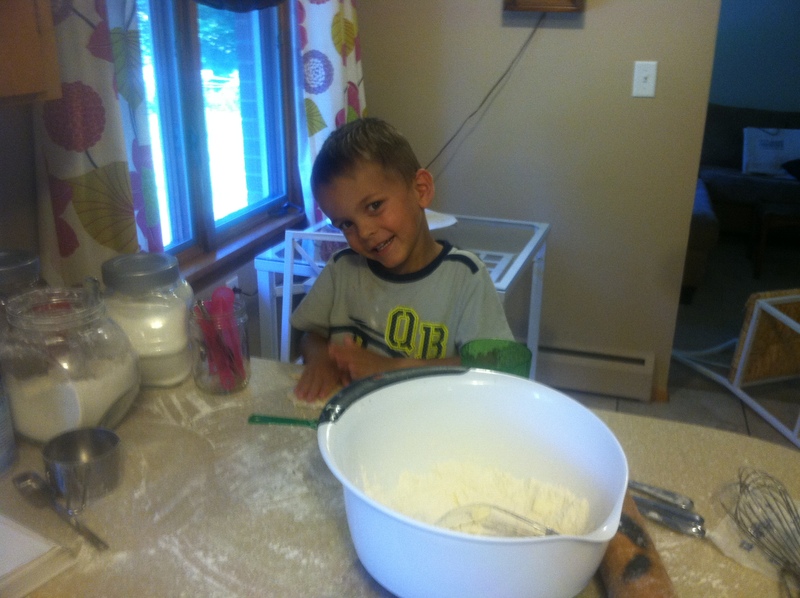 But better yet, Theo and I love to bake pie. Together. 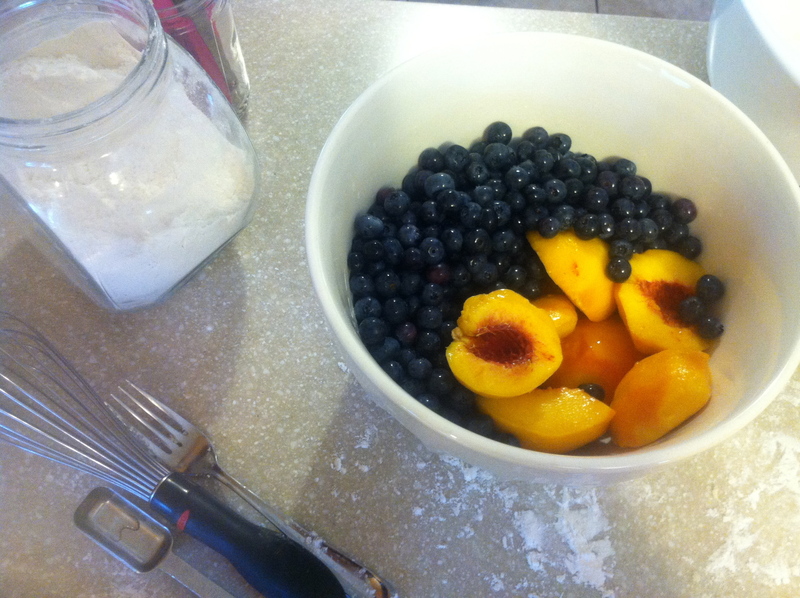 The other morning I was getting out ingredients for a pie, including the last of the blueberries that Theo had picked, when Theo walked into the kitchen. He started bouncing back and forth from one foot to the other. “Theo, do you have to go potty?” I asked. “No! I’m just sooo happy you are baking a pie!” he squealed. Gosh, does it get any cuter than that? 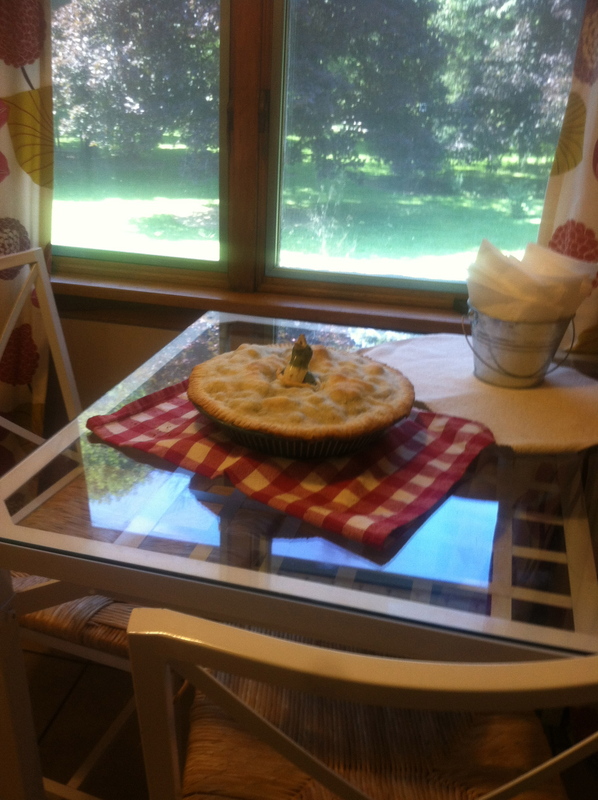 So a pie, we did bake. There are few things I love more than being in the kitchen with Theo. It is pure joy. And also a pure mess, but I’m learning that sometimes the best things in life are also the messiest. 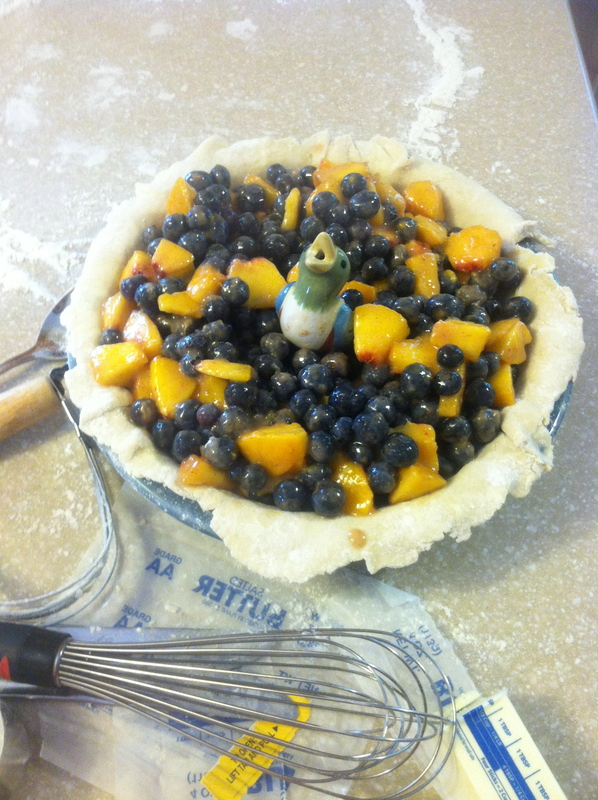 I used a recipe from my tried and true Betty Crocker cookbook and together we baked a yummy blueberry peach pie with a double crust. Including Theo in these projects was not a natural instinct for me. 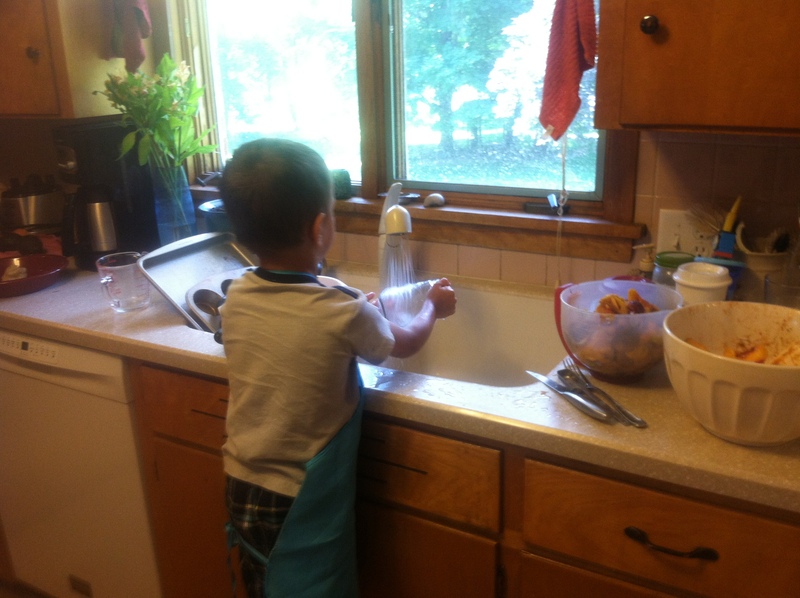 I wanted his involvement, but including a toddler in anything means you have to embrace the mess, the slower pace, and yes – the teaching opportunities. Did I mention that these are all things I hate? Despite my neat-freak tendencies… Despite my struggle to give up control… Despite my absolute lack of patience when I’m supposed to be teaching another person something… Including Theo in the kitchen has been one of my favorite parts about motherhood. Its just fun. And not to mention, I get pie out of the deal. And I really, really love pie.